The clock is hung on the gallery wall at head height. 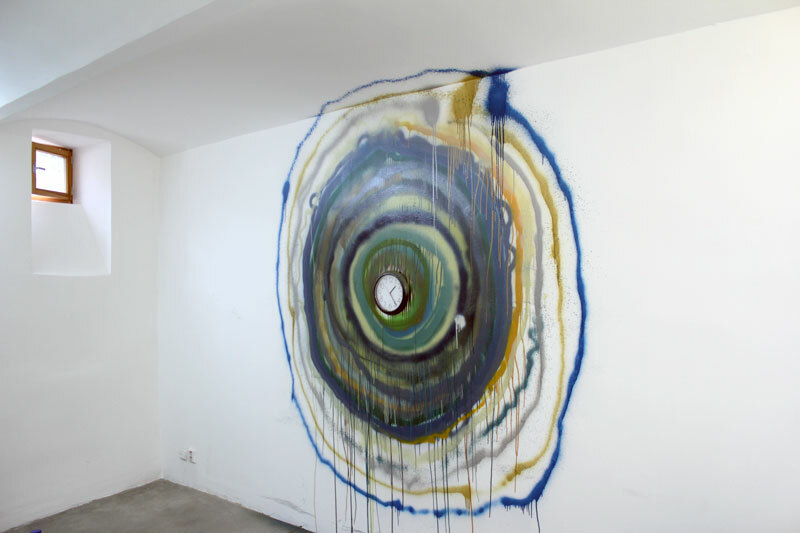 60 different visitors to the gallery are individually given the following instruction: Select one can of spray paint. 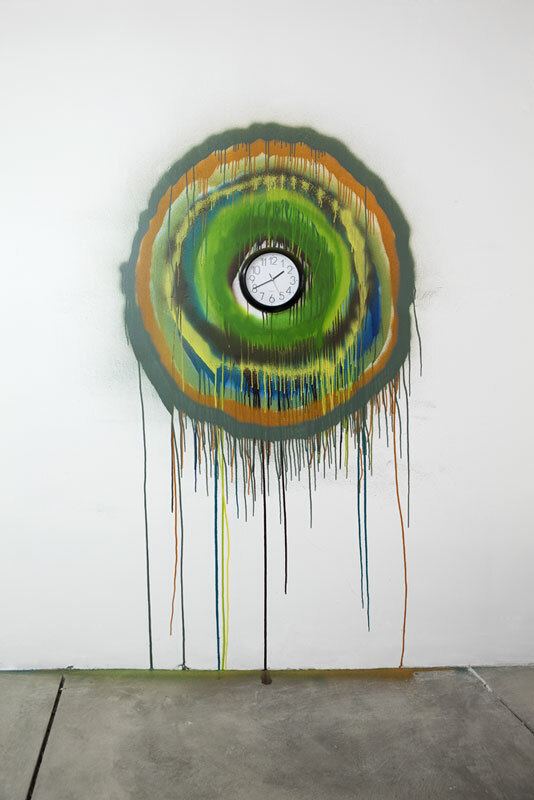 Spray one complete circle around the perimeter of the clock in an uninterrupted clockwise circular motion following the ticking second hand of the clock as a metronome/guide. Your circle must take 60 seconds to paint, at 15 seconds the circle should be a quarter complete and at 30 seconds the painting should be half way. Start and end at the 12 o’clock position, do not lift your finger off the spray can nozzle until the circle is complete, don’t worry too much if your line overlaps the previous persons line. Each circle adds to the growing set of concentric rings. The combined set represents a combined painting duration of exactly one hour.